German company Adam Audio is known around the world as a manufacturer of quality studio monitors. 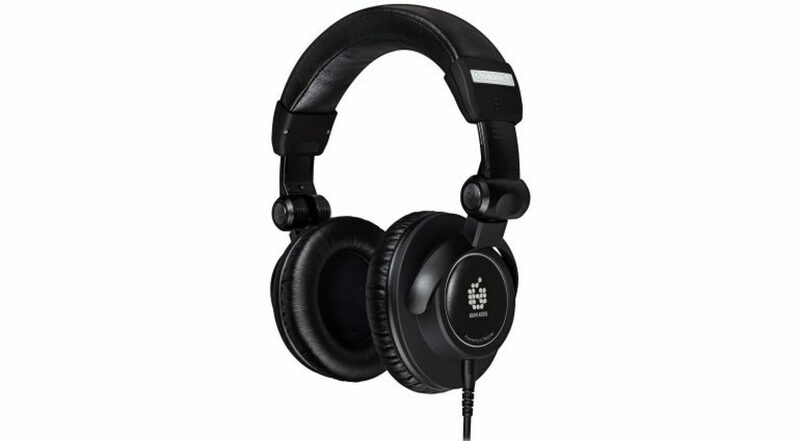 However, early this month the company released a new product that is the first of its kind from Adam – over-ear studio headphones named the Studio Pro SP-5. The Adam Audio Studio Pro SP-5 pair has a pin-point accurate frequency range of 8Hz to 32kHz, and has a sound characteristic that some have described as ‘analytical.’ When designing these brand new headphones, Adam borrowed technology from fellow German company Ultrasone, called S-LOGIC. The technology, which can also be found inside of Ultrasone’s PRO 1480i studio headphones, uses transducers and places them across the headphones with precision to mimic (in a way) the human ear, and its acoustics, to deliver a clarity of sound unlike any other we have heard from studio headphones before. This feature also helps to reduce ear fatigue, during prolonged listening sessions. The Studio Pro SP-5 has a closed back, cushioned ear pads like we typically see on other studio monitoring headphones. And a visually comfortable head strap which appears to eliminate probabilities of discomfort when worn snug. Included with your purchase also comes a carrying pouch, a 1/8″ to 1/4″ cable, and an 1/8″ to 1/8″ cable as well. The Adam Audio Studio Pro SP-5 is available through the Sweetwater.com online store, or through several other distribution sources online as well. Adam grade definition also comes with sacrificing a hefty chunk from your wallet, and the Studio Pro SP-5 is no exception. You’ll have to shell out $500 for this pair of on-ear studio monitors. However, the Ultrasone open-back headphones, from which Adam borrowed technology, can be yours at a price of just $164.93 or €142.02. So if you want to experience some of the same technology without experiencing a significant loss of funds in your bank account, that may be the way to go.